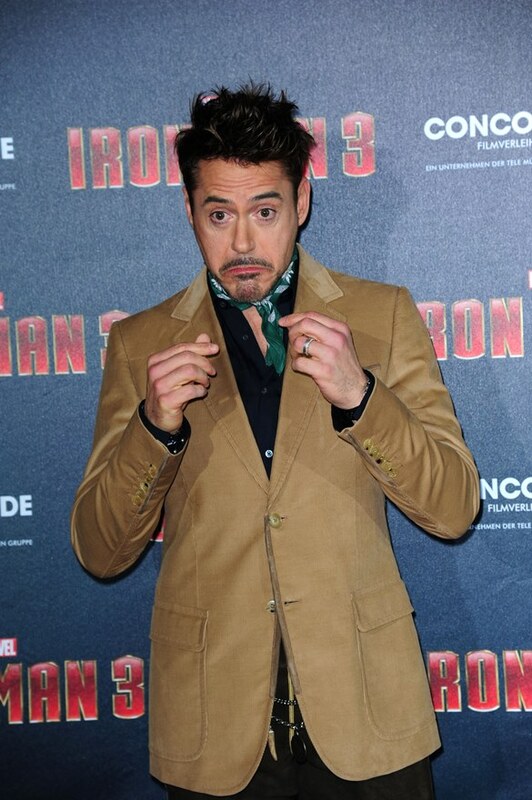 Gwyneth Paltrow has now joined Robert Downey Jr on the press tour for Iron Man 3. We are now exactly 3 weeks away from the opening. How you doing over there, Sarah? You OK? I don’t think she’s going to be able to sleep that week. I wonder if her friends will stop taking her calls when she keeps asking them to see it over and over again, 3 or 4 times, that weekend. Which doesn’t sound crazy to me. But for a different reason. Of course, PEPPER POTTS. 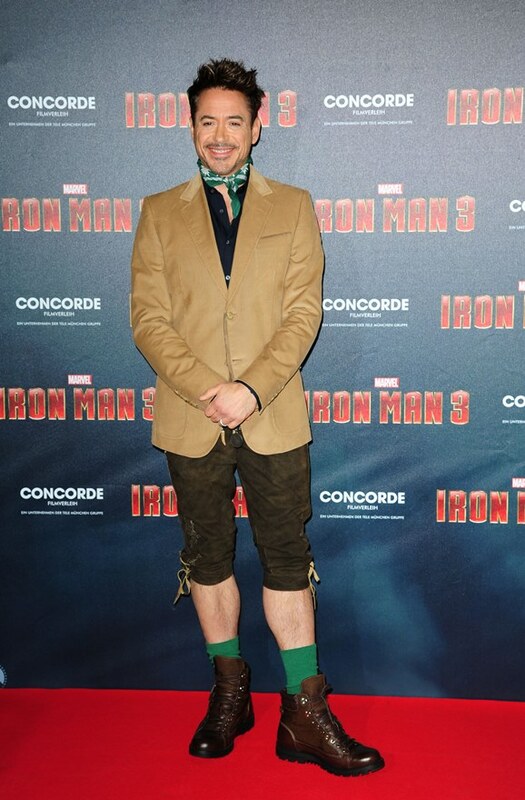 You caught that the other day when I mentioned that RDJ was the one who insisted that Pepper Paltrow’s role be expanded in the third film, right? He loves her. And by that I mean Pepper AND his friend G. So much so that he too is showing off his legs. 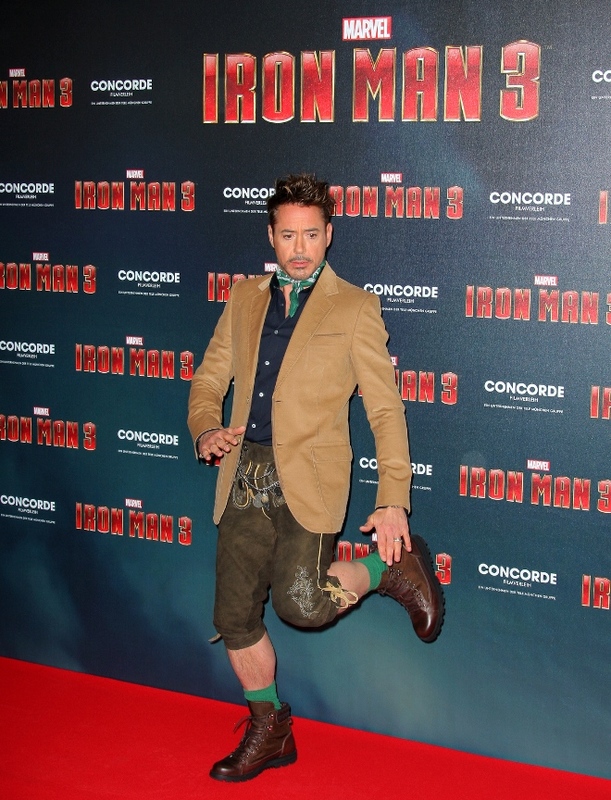 Look at him at the Iron Man 3 photo call in Munich today. He really is the best. Don’t ask what it is. Just... enjoy whatever it is. As you can see, they’re clearly very close. (The Downeys were mentioned in her first book, ahem.) Like a lot of whispering and secret jokes back and forth close, especially on his part while she plays the embarrassed sister type who’s better at remembering all the manners but also loosens up around his irresistible energy. 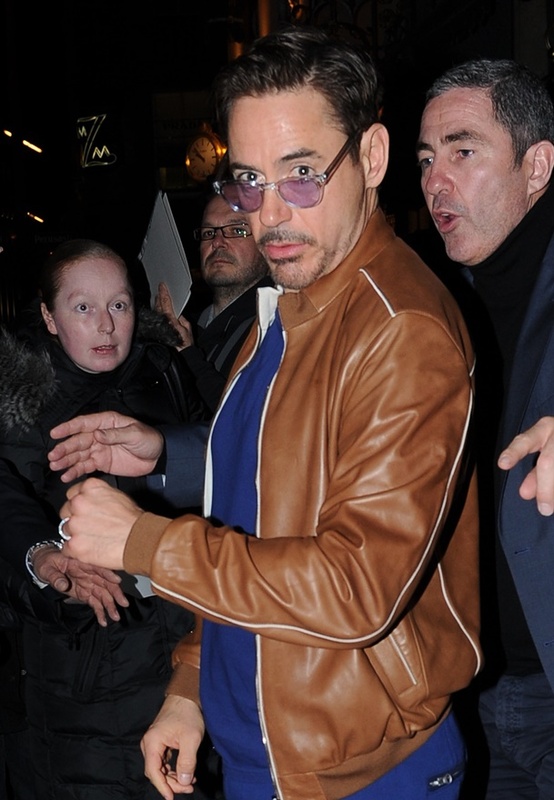 One my favourite things RDJ does when he’s around G is complain about how tall she is and how she knows everything. It’s charming because he’s being self-deprecating (most actors don’t CALL ATTENTION to the fact that they’re short) but at the same time, he’s also kinda needling her. Why are you so perfect? Isn’t there anything wrong with you? See? He’s the best. And this, all of this, what we’re about to enjoy for the next couple of weeks, this is the best. RDJ and Gwyneth on promotion will be a lot of fun.